Alumni joined the choir to finish the concert. 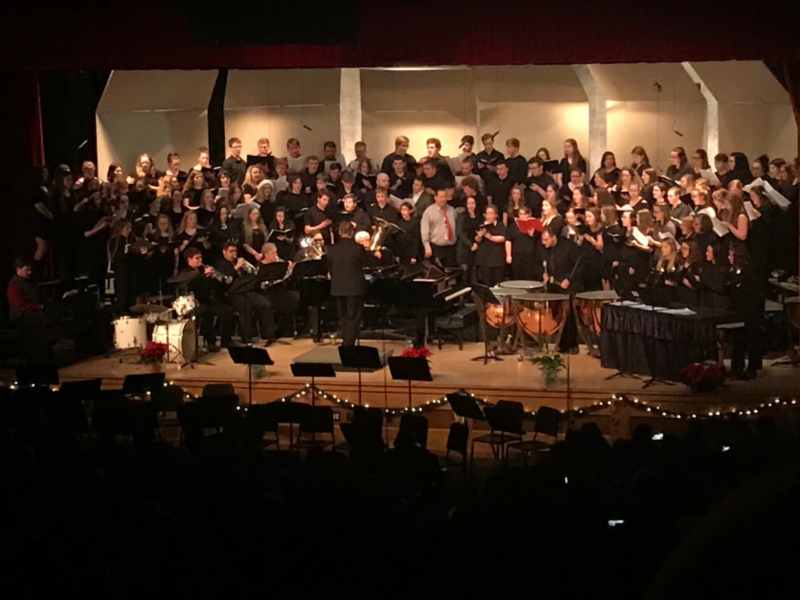 On December 20, the Clearfield Area Junior/Senior High School held the annual Christmas Concert in the auditorium. This concert includes everyone who participates in the music department. This included 7-8 Grade Concert Band, 9-12 Marching Band, 9-12 Concert Band, 9-12 Jazz Band, 7-12 Orchestra, 7-8 Grade Choir, 9-12 Choir and even some students who do not participate in the music department helped with stage changes. The concert did not require people to pay to get in but instead the audience was asked to bring canned goods. We are unsure of how much food was collected but we know it was a good amount. This concert is anticipated since the beginning of the school year and it is not hard to see why. Good job Clearfield Area Junior-Senior High School music department and keep up the good work. To view the concert, visit the district YouTube site.